The renovation of this detached Victorian house in a historic conservation area served to restore a number of original features and re-establish the building’s proportions. On the lower ground floor, a wall of glazing draws large amounts of natural light into what was previously an unused basement. Vertical circulation links the ground and basement level through a light well void, creating multiple views between the two space. The interior design by RDA juxtaposes the existing classical features with modern influences. 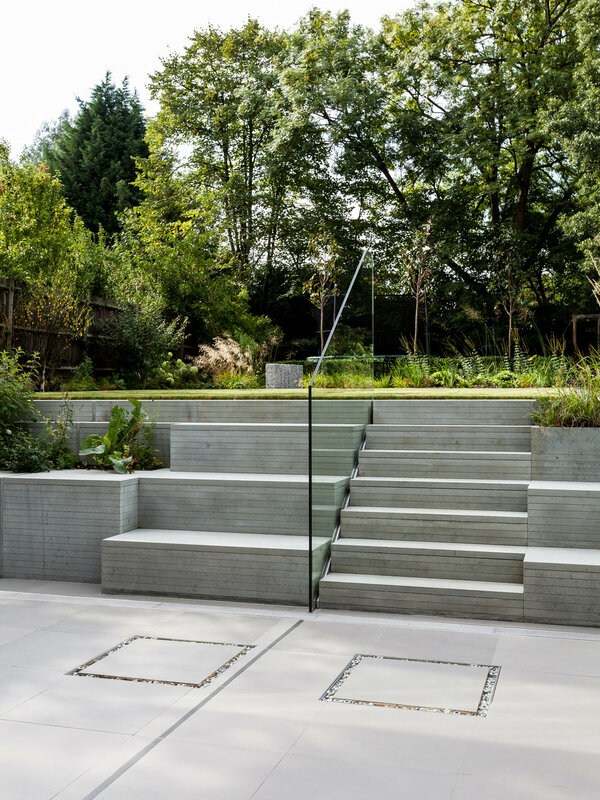 To complement the rear facade, the garden has been redesigned with the re-establishing of hard and soft areas with pleached trees and additional natural features used to create private social spaces.